Don't miss the opportunity to have a FREE candy-coloured Troll-style makeover. Who could fail to be cheered by the glittertastic, happier than a happy thing Trolls who would make a wet Tuesday in February seem fabulous? And who would not like to be like them, even just for one day? Well I have some good news for Troll fans who want to relive the joy of the smash-hit movie in their own homes -from August 26th Trolls is available to stream on NOW TV. I have even better news for any Trolls fans living within commutable instance of London. 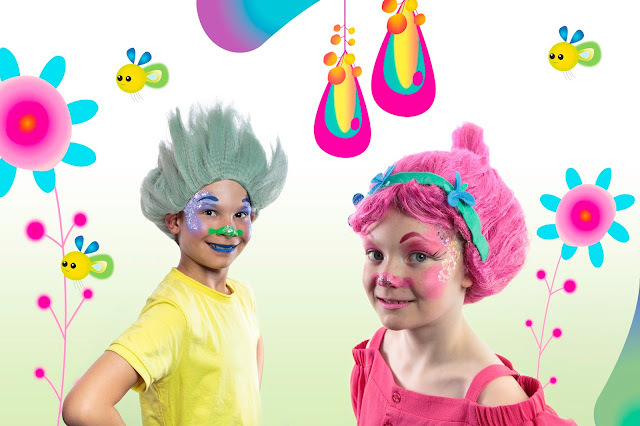 To celebrate, NOW TV is inviting families to experience their very own Troll transformations as they open the UK’s first Troll inspired pop-up beauty salon. Located under a bridge in uber-trendy Shoreditch, the salon’s Troll-ific stylists will offer free candy-coloured makeovers inspired by beloved troll characters - Poppy, Guy Diamond and Smidge. 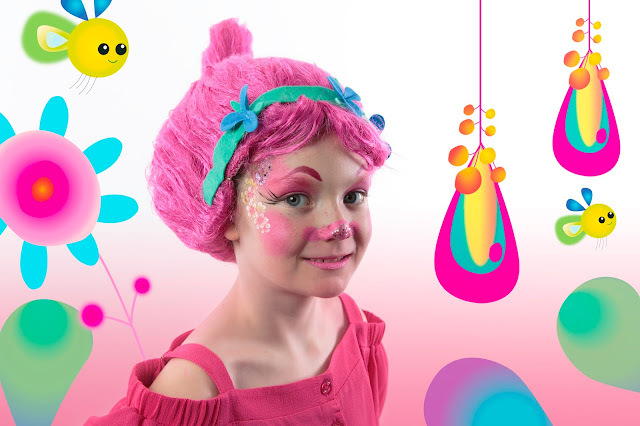 With rainbow colour palettes, rosy noses and plenty of gorgeous glitter, styling will include face paints, fun hair accessories and bright quirky wigs. So, whether it’s Poppy’s positively pink look, Smidge’s luscious blue locks or Guy Diamond’s glitterific get-up, it’s time to let your hair down… by putting it up. Both children and parents can book in for hair and makeup styling and visitors will also be able to follow their art and get involved in some lively Trolls movie-themed activity sheets and scrapbooks while they wait their turn to get the Troll look. Trolls will be available on TV streaming service NOW TV from 26th August with a Sky Cinema Pass, available for £9.99, contract free. Disclaimer: I was not paid to share this information.